If it works for you, please mention the model number in comments below. Also, I found another model number on the sticker: Model PCG-6R3L. Remove one screw from the bottom. There are for small latches located above the function keys. 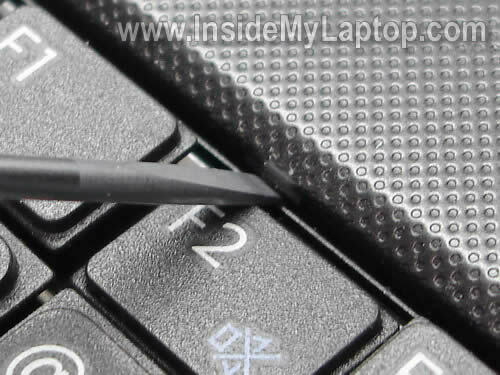 Push on latches with a small screwdriver to release the keyboard. 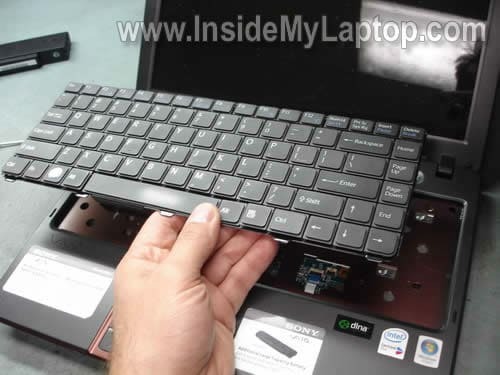 Carefully lift up the keyboard and place it upside down on the palm rest. 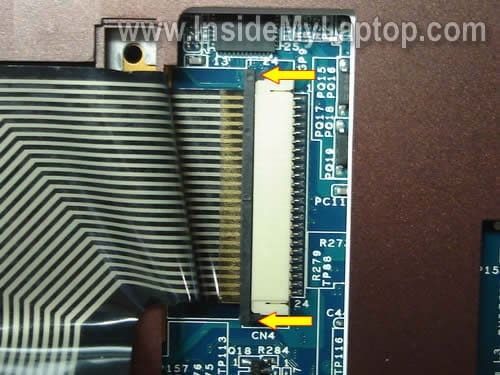 Now you can access the cable connector on the motherboard. Unlock the connector first and after that pull the cable after that. In order to unlock the connector carefully move the black clip to the direction shown by two arrows. In my laptop the cable was glued to the top cover with sticky tape. Replace the keyboard with a new one. You can search for a new keyboard using the part number from the original one. 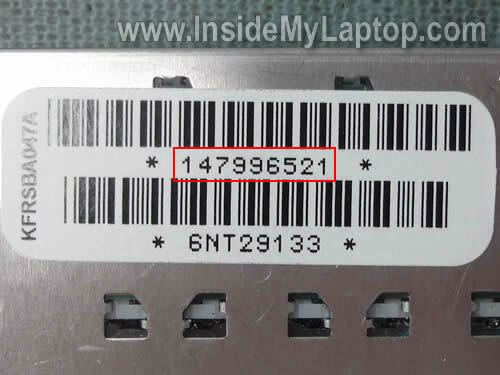 In my laptop the part number was 147996521. Thanks for the info. Steps worked for my vgn-nr series. 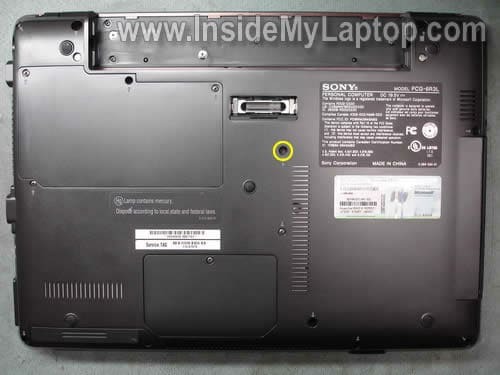 I need to replace a x key on mySony Vaio odel Number is PCG-7L1L. thanks it helped me too………. very very good keep it up!!!!!!!!!!!!!!! yahuudddd… Thx, this tutorial make precautious for me before i reassemble it. 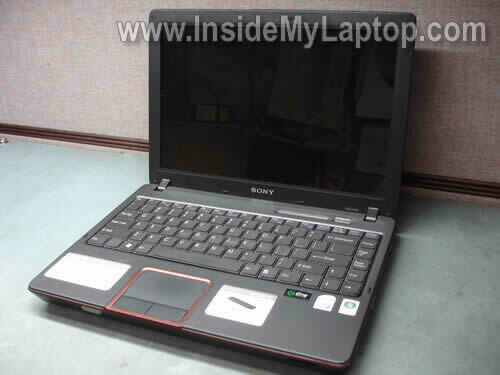 I have a Sony Vaio PCG-7A2L (also called a VGN-FS640W). These instructions worked well for this model as regards lifting up the top panel above the keyboard. Once out, though, I found there are 4 more screws holding the very top of the keyboard that must be removed before you can take the old keyboard out. One more thing: the lone screw on the bottom holding the keyboard in place for this model is in a slightly different place, but the correct one has an arrow pointing to it like it shows in the photo above, just to the right in a different place, though. I picked up a used one on ebay and installed it myself (kudos to your tutorial). 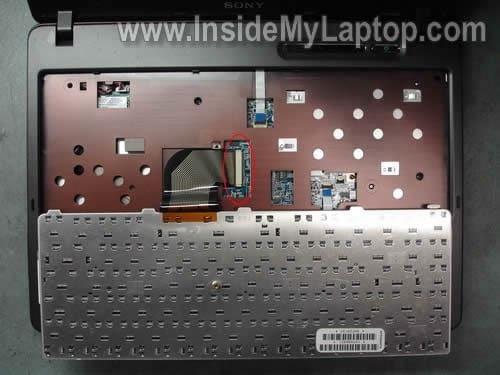 I’ve stumbled upon your blog looking for how to remove/replace the keyboard on my vaio vgn-cr. In addition to removing the main screw, there are two more screws under the battery (very short, with a rather wide top). They need to be unscrewed as well. Hopefully this will save someone from making more dents and scratches on the laptop than is necessery. It was very helpful, although, my laptop required all three little screws in the back to be removed or else the keyboard would not come loose. 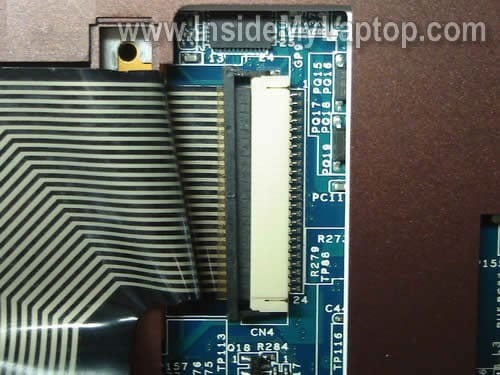 Not sure whether it will work for my Sony Vaio VGN-CR21 to remove the keyboard. Those 4 latches which are mentioned in this guide are not so visble on my VGN-CR21. The distance between the keybord and top plastic cover is less than 1 mm and you can hardly see if anything is there in that narrow channel. What to push and in what direction to push? If there are some latches are those part of the keybord itself, part of the top cover or part of something else? It would be good if Eugene can give some more details as it seems that VGN-CR is more specific model. THANKS VERY VERY MUCH IT WORKS . VERY VERY NICE DETAILED INSTRUCTIONS ,,BUT, I WANT TO KNOW IF THERE’S A WAY TO CLEAN THE KEYBOARD FROM SPILLED STICKY JUICES DONE BY KIDS..?RATHER THAN TO REPLACED IT WITH NEW ONE.? Well thanks for this info with the good elaborating images i did remove my damaged keyboard but i cant find new one to replace where can i get one i am in kenya. My model is VGN-FE48G/H. 2007. 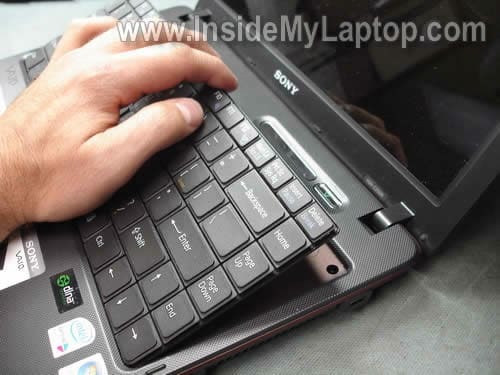 Thanks a lot, the information is very seful, my old sony laptop kb having issue, some of the key is not working, hope i will fix it or replace a key bord. Thanks, this was helpful. I know that it’s jus the ribbon cable that is broken, but it looks like I need to replace the entire keyboard. Just replace the entire keyboard. You cannot fix individual keys if they failed. 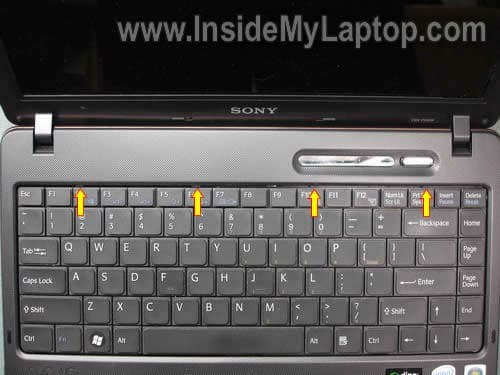 Sir i want to buy this SONY Vaio VGN-C13G key board. please reply me by mail. i am from Pakistan. I don’t sell any parts. I’m just writing laptop disassembly guides.